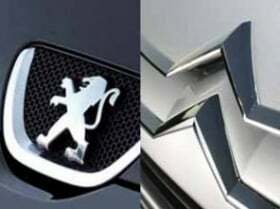 PARIS (Bloomberg) -- PSA/Peugeot Citroen SA may revive a plan to set up a manufacturing facility in India to tap surging car demand in the country, according to a person with direct knowledge of the matter. Peugeot may spend about 700 million euros ($886 million) on the factory with annual production capacity of 100,000 cars in the southern state of Andhra Pradesh, said the person, who asked not be identified because the discussions are confidential. Peugeot executives intend to meet this month to decide on the project, before seeking approval from the carmaker’s board and starting negotiations with the state government, the person said. An investment, at a time when rising disposable incomes boost demand for cars in the world’s third-fastest growing major economy, would mark Peugeot’s re-entry in India more than a decade after the carmaker exited a local venture. Rival Renault SA will resume selling cars in India next year from a factory it’s building in Chennai in south India. Peugeot is studying opportunities in India, said Pierre-Olivier Salmon, a company spokesman in Paris. There is no decision on India and no timetable for a decision, he said. Busi Sam Bob, an official in charge of Andhra Pradesh government’s industry department, didn’t answer calls to his office after business hours. Peugeot may raise the funds from French banks for the project, the person said. Peugeot’s Indian expansion plan may intensify competition in Asia’s third-largest passenger car market, where Maruti Suzuki India Ltd. dominates with a 50 percent share. Toyota Motor Corp. and Nissan Motor Co. are introducing new models in the nation as car sales expanded at the fastest pace in six years in the 12 months ended in March. Automakers including Toyota and Volkswagen AG announced plans to spend more than $6 billion to expand in India, where sales may reach 3 million units by 2015, according to a forecast by the government. Toyota today said that it will spend 5 billion rupees ($107 million) on a facility at its local unit to build engines and transmissions for the new Etios model that will debut later this year. Peugeot exited its Indian venture in 1997 after losses mounted and local partner Premier Automobile Ltd. tied with Fiat S.p.A. of Italy. Peugeot and Premier had a 32 percent stake each in PAL-Peugeot Ltd., which built the 309 model. Renault pulled out of a partnership with Mahindra & Mahindra Ltd., India’s biggest SUV maker, in April after sales of the Logan car plunged. PSA CEO board member Gregoire Olivier said March 2 that the carmaker shelved its plans for India as it was negotiating with Mitsubishi Motors Corp. about a tie-up. Later that month, Peugeot broke off talks over a share swap with Mitsubishi.